The Stone at The New School serves as an artist-centric home and community for experimental and avant-garde artists, where they can perform what they want without any interference. 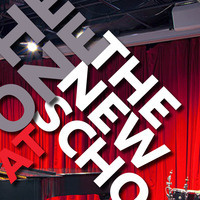 With concerts every Friday and Saturday evening, The Stone at The New School continues the tradition of the landmark non-profit performance space founded in 2005 by Artistic Director John Zorn, within a greatly improved space. Beginning in March, 2018, The Stone at the New School will operate five nights a week. $20 (unless otherwise indicated at the door); no advance ticket sales, all admissions are cash-only at the door. Admission is free for students from The New School (limited to whatever seats are available after paying guests are seated).